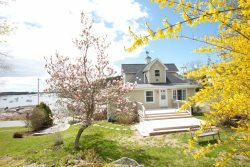 Bay Dream is a beautiful home in the village of Stonington. 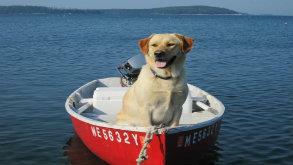 Bay Dream sits high on top of Granite Street, overlooking Stonington's harbor and the islands beyond. 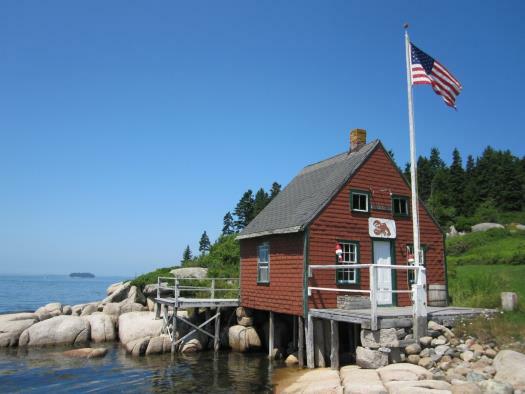 Bay Dream is just steps from many of Stonington's restaurants, galleries, and novelty shops. 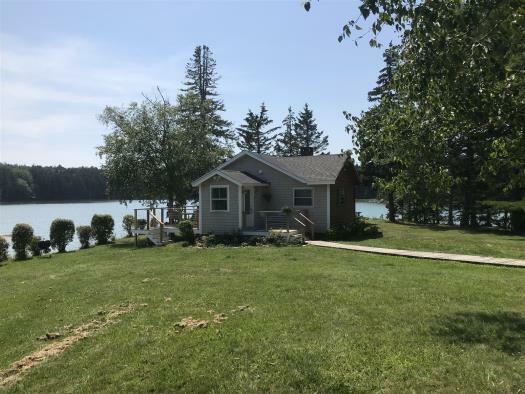 Bay Dream is a three bedroom, two bath home. The home is clean and efficient, from the classic furnishings to the fully stocked linen closet. Bay Dream has a large kitchen with beautiful tile work. The kitchen is completely stocked with quality cookware, cutlery, dishes and glasses. The kitchen shares a space with the dining table, but still leaves plenty of room for cooking and relaxing. From the kitchen table you can enjoy the gorgeous views and enter the wrap around deck, which encompasses the whole front of the home around to the road side. The deck is well furnished with Adirondacks, umbrellas and a propane grill. The three bedrooms in Bay Dream are nicely furnished, all with queen size beds and new, plush carpeting. The master bedroom has a large full-size bathroom and its own entry to the deck. Bay Dream's master bedroom also has a LCD television with satellite service. 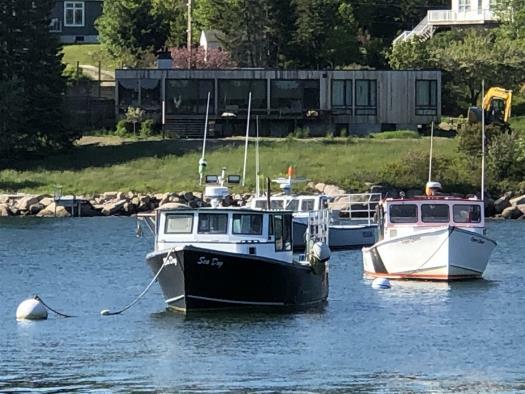 The living area in Bay Dream shares the beautiful harbor views and is very comfortably furnished with a sofa, loveseat, two easy chairs, and satellite television. 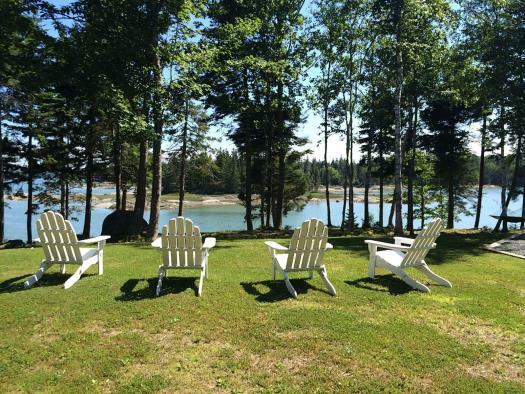 Bay Dream also has some Maine literature to enjoy and wireless internet service for those times you are not out exploring. 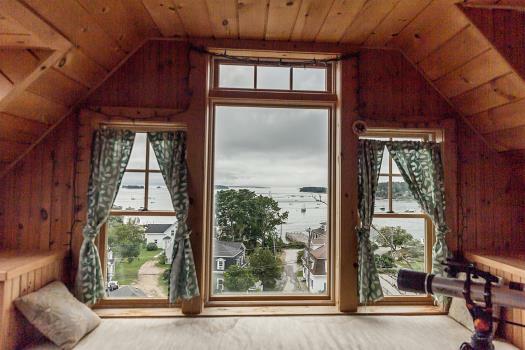 Wake up to the sights of Stonington Harbor each morning at Bay Dream, a relaxing, but convenient location with all the comforts of home.